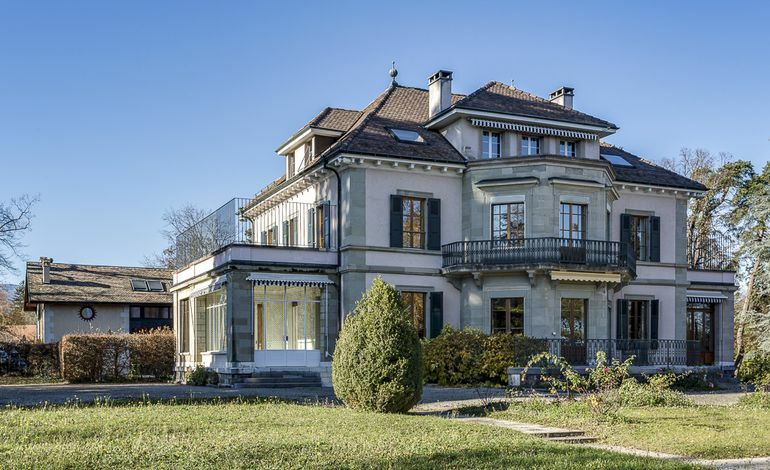 This beautiful and impressive mansion is situated on Geneva’s Right Bank, just a stone's throw from the lake and international organisations. 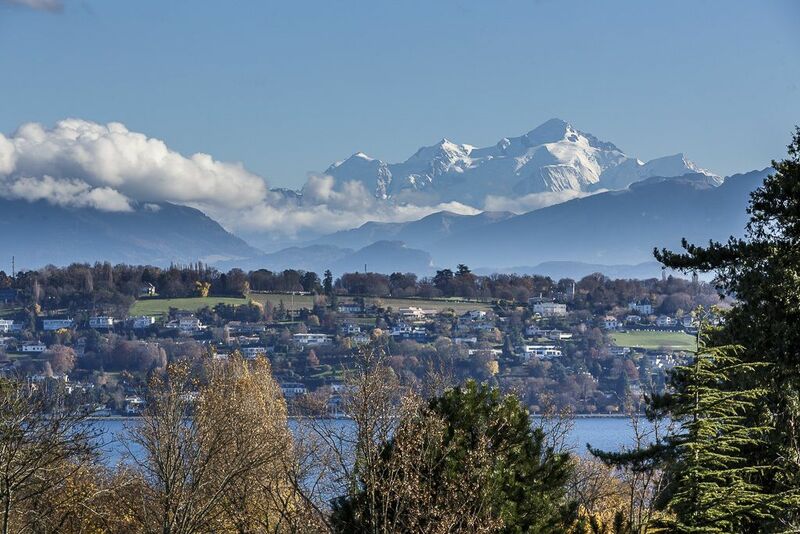 It boasts sublime unobstructed panoramic views of the lake and Mont Blanc. 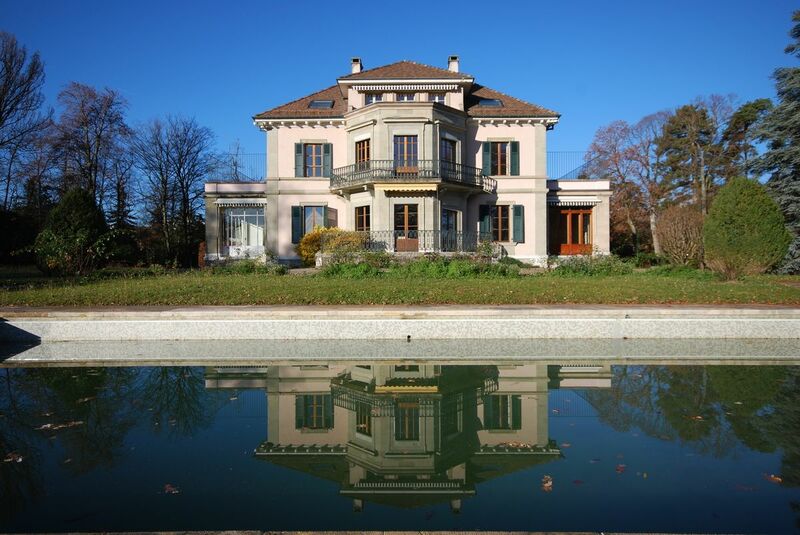 It is also surrounded by 9,400 m² of magnificent landscaped grounds including a swimming pool and stunning terrace. 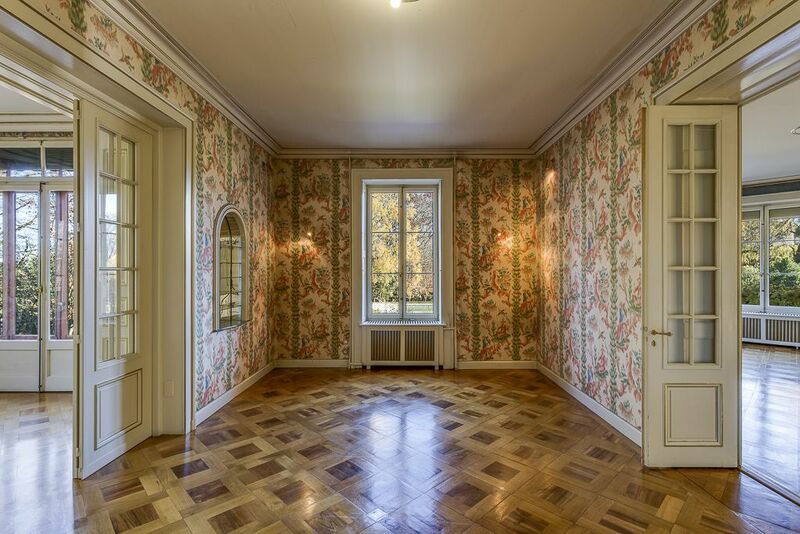 Built in 1840, this exceptional property benefits from 730 m2 of living space + basement level split between 17 rooms. 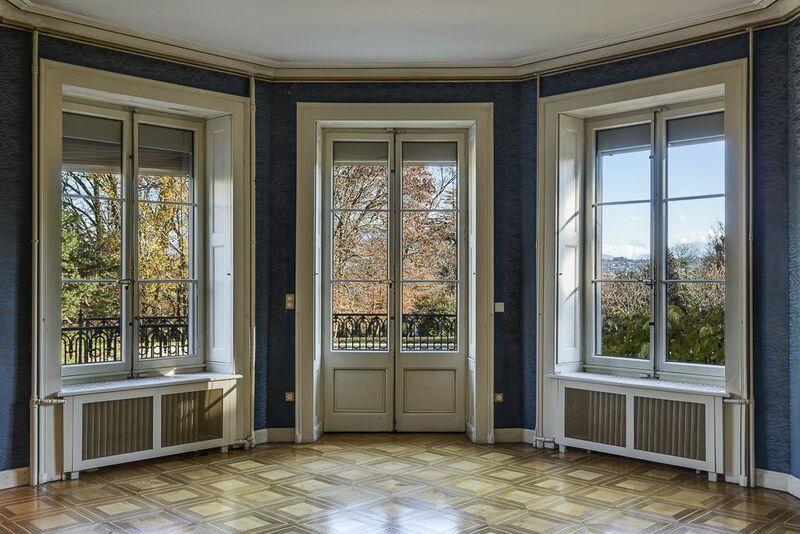 The interior features beautiful parquet floors, exposed beams, high ceilings, fireplaces and magnificent reception rooms. 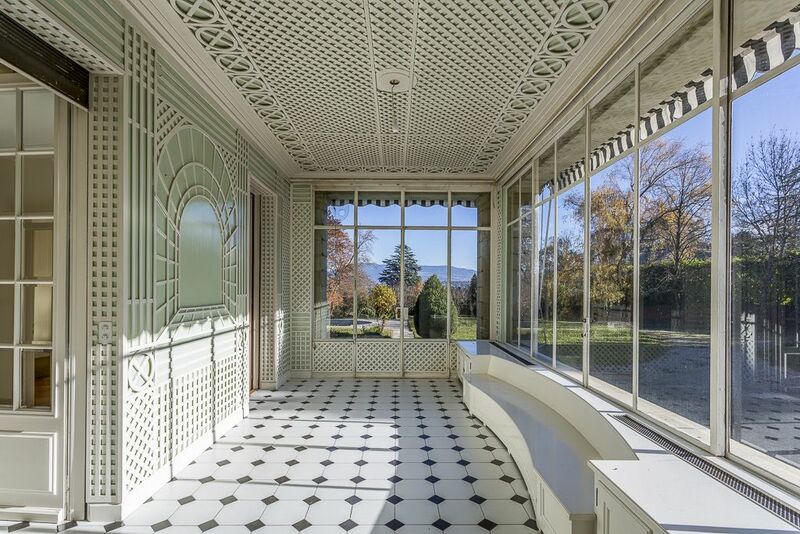 The unique architectural design runs through four distinct levels with beautiful reception rooms on the ground floor and magnificent bedrooms on the upper floors, most with a view over the lake and en-suite bathroom. Finally, the basement levels are home to various equipment rooms, two cellars and a wine cellar, as well as two large furnished rooms. 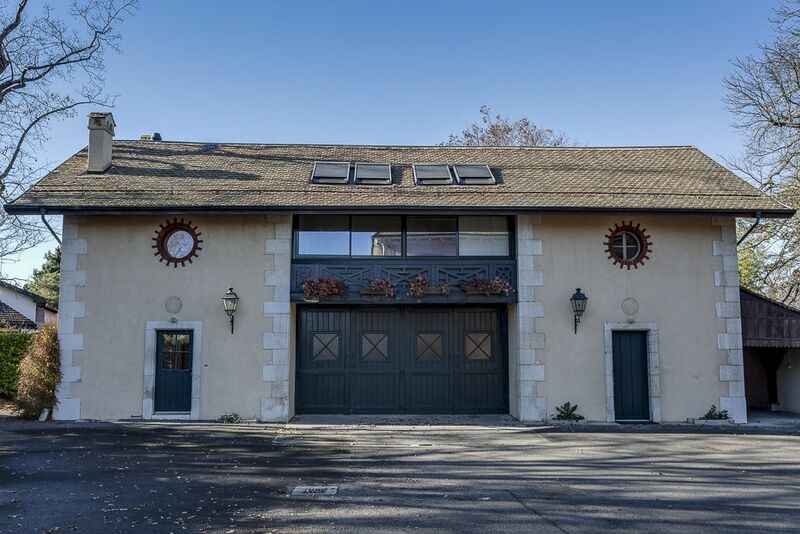 The annex is comprised of a garage and two duplex apartments with a total living area of almost 280 m². 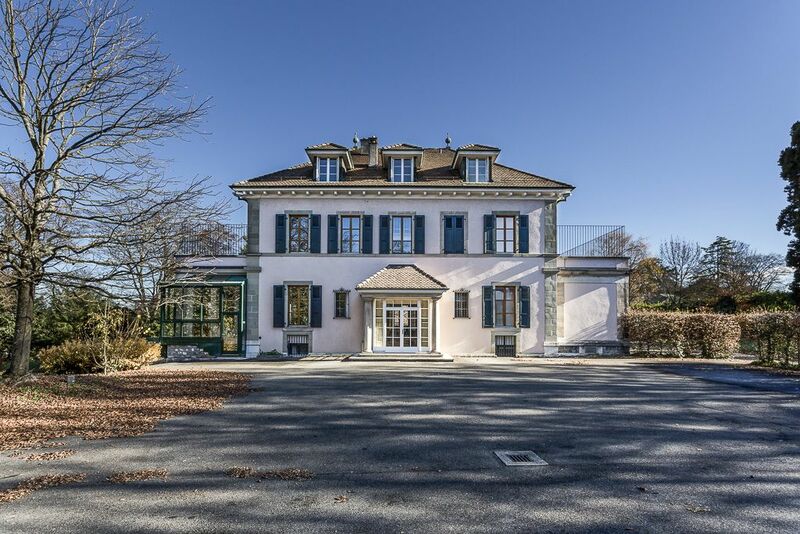 Enjoying an enviable position on Geneva’s Right Bank, this property is located in the much sought-after district of Pregny-Chambésy. 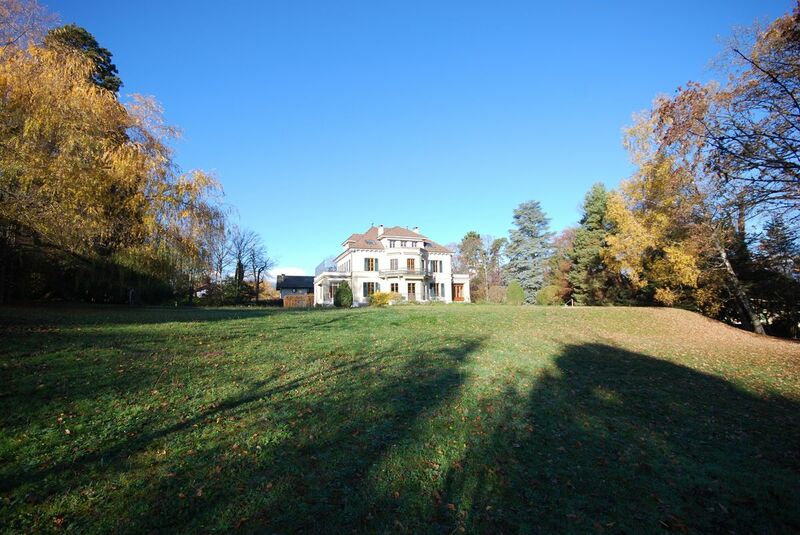 This mansion is set in leafy surroundings, in a quiet and residential area. 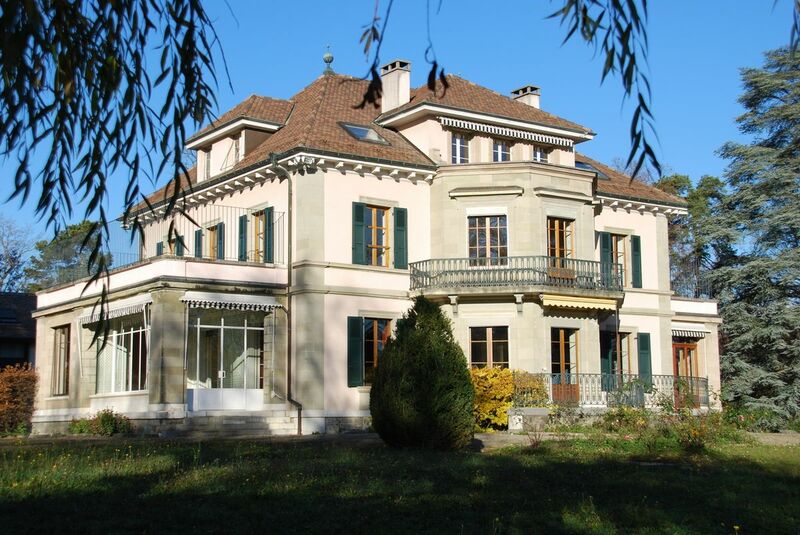 It is situated within close proximity to Geneva international airport, but in a peaceful environment. 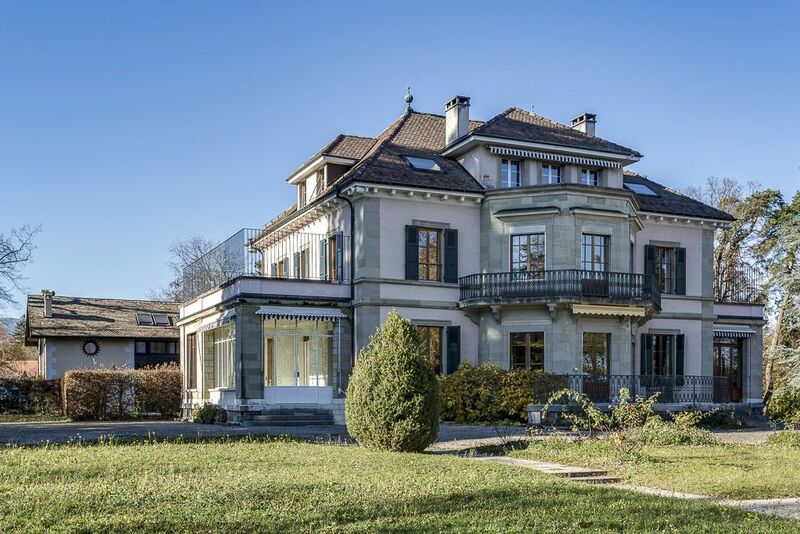 Cornavin train station, the city centre and international organisations are also nearby, The location guarantees privacy and plenty of sunlight. 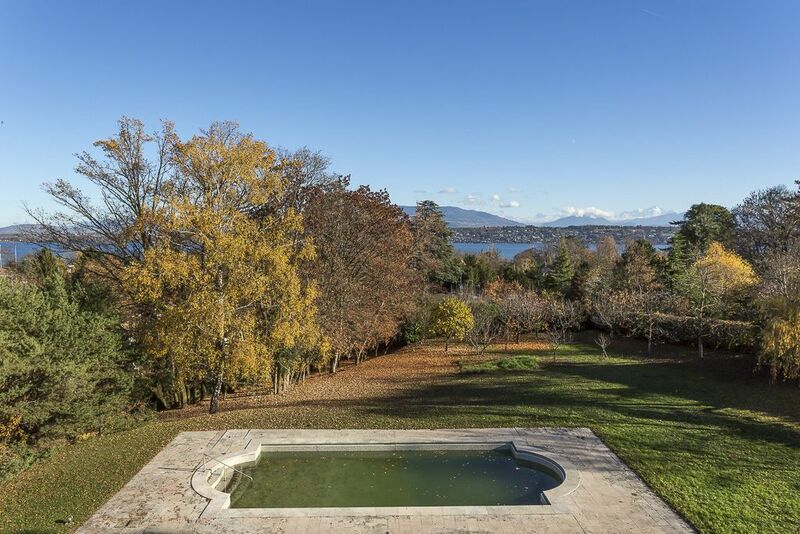 The property's exterior and a large part of the interior offer magnificent unobstructed views over the lake and mountains.